The Saskatoon Co-op is a consumer cooperative grocery with multiple locations in and around Saskatoon, SK. Workers are represented by United Food and Commercial Workers Local 1400. They have been without a contract for two years, and have been on strike since November 1. 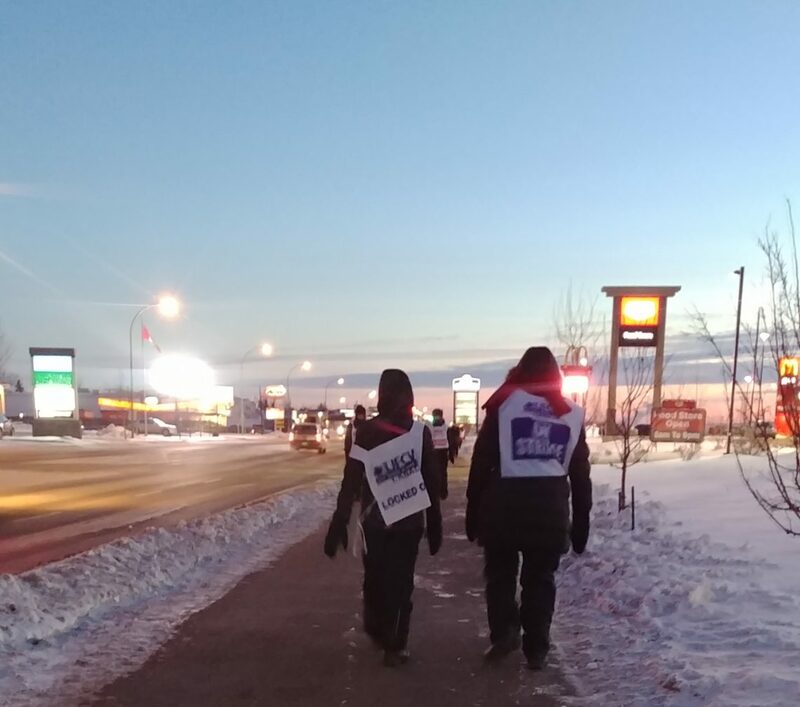 We spoke to a cashier who has been walking the picket line, sometimes in deep-freeze temperatures, about why workers refuse to accept a two-tier wage scheme. Tell me about some of the issues you guys are striking over. Most of the members don’t want to have a two-tier wage system. 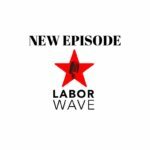 The company wants to lower the starting wage. The new top wage would be around $20.00. The difference between a new and old employee would be almost $5 an hour. We don’t want a second tier, because we don’t think it’s fair for anybody new to have to come in and get paid less for doing the exact same job. Two-tier wage systems have been introduced elsewhere, like at Air Canada and General Motors. Companies are able to negotiate them in part because current workers think, “Well, this doesn’t affect me.” Why are you guys are drawing the line? A lot of us are getting the feeling that they are trying to lower the pension and the benefit amount. So you see this as the first step to more rollbacks? Yes. We don’t want to see a two-tier come in, and our wages go down in a future contract. The older employees feel like the company is trying to push them out. Folks who have been there for 15, 20, 25 years. The Moose Jaw Co-op has a two-tier system. They’re feeling it there. New employees have a kind of hate for old employees, because they’re being told to do the same job for less pay. It’s not fair. What’s it like on the picket line? November 1 was our first day on strike. I don’t mind it, personally. We have a really strong group from our location, because the majority of us walked. One guy couldn’t handle the cold and went back in. Many of the supervisors [also union members] stayed and worked. But on our line, we’re a pretty close-knit group. We have down days, but for the most part, our morale has been really good. We dress up warm. Take breaks. We lift each other up. We usually get a box of coffee donated once a day. Today we had coffee and donuts. The ones that are out there now, none of us are planning on going back until we sign a new contract. So you were on the picket line earlier today? How is it decided when you walk? We have picket captains. There are shifts so it covers a whole day. There are 3 or 4 of us scheduled at a given time. If you work part-time, you walk 20 hours a week, and get paid $325 [from the union strike fund]. The full-time people picket 24 hours a week and get $400. What’s the public reaction like? A lot of people [we encountered at the picket line] were screaming “Get a new job! Get back to work!” One lady — I will remember her face forever — said “Get a real job!” This is a real job. I’m not doing it for free. A job is a job. Are you dissing all retail jobs? All jobs? I have two degrees but I’ve always worked retail. At the beginning people thought we just wanted more money. People were yelling “Get an education!” saying we make a lot. Our wages are decent, I know that. A lot of us cashiers – there are 30 of us – started as either high school or university kids. They are staying on cuz they can choose their availability. For myself, I had owned my own business. It was closed. I was stressed for five years [laughs]. They opened here and I had my son and I was like, “This is perfect. I can work evenings and weekends.” When my son went to school, I added two days a week. Now I work almost full-time hours. Is this your first union experience? Has it changed your perception of unions? I didn’t know much about unions before. There are some things with the union, things in the contract that I don’t agree with, like I think raises should be performance-based, but it makes me see the Co-op in a whole new light, because they keep saying they’re bargaining, but every time they’ve come to the bargaining table, they’ve slapped down a contract and walked out. So they’re lying to the public. Apparently our CEO is on holidays right now. There are no bargaining dates set. We asked for arbitration. They refused. I had considered working for the company at head office – it’s still a union position – but now I don’t know if I want to be that close to the folks who run the business. Who is replacing you? Did the company hire scabs? We heard 181 of 900 are back at work, at all the Saskatoon Co-ops. Co-op hired temp workers. They won’t say how many, but it was quite a few. I’m assuming they’re offering as much overtime as people want. There was a rumor they hired people from out of province to come. But the company denies this. But they won’t really release who is working for them. We know people are being cabbed in. What’s the bigger picture for you here? Does this bring up issues of justice? The bigger picture for me is, I am concerned about future workers. I’m also concerned about my future. I’m concerned about living wages. I know so many people who work a minimum wage job, and they have to have two or three of them in order to pay their rent. I find with the Co-op, that’s a decent wage, I can live off that wage, and I also have my husband who is the main breadwinner. He pays the mortgage and I pay the bills and food. I want stability. I want a workplace where I feel comfortable. I want everyone treated fairly and equally. We care about future employees because a lot of employees are family. My nephew wants to work here, once the strike ends. They do have good pension, they do have good benefits. There are only so many places to work in our town. Why Do Coops Hate Unions? How come sometimes bosses fight back, and sometimes they give in? © 2019 Organizing Work. Theme by Anders Norén.